These guys have been in the Dallas-Fort Worth event scene for over 20 years making events/weddings a success. They are comprised of a team of 6 DJ's that have specific styles from Dance/EDM, Top 40, Hip Hop/R&B, Bollywood, etc. Not only do they customize your music for your event, they do so much more! They have unique uplighting options, projectors and screens, video mixing ( to show music videos while the music is playing), monograms, dry ice ( for grand entrances/first dances) and they use professional dj facades. We recommend all of our clients to them because of their unmatched professionalism and creative event setup & design. We can't wait for our upcoming summer wedding with them in McKinney! Starting this week we will introduce you to our preferred vendors. First up, we want to tell you about Hurley and Ramos Photography and Omar Ramos Photography. We have had the pleasure of observing them capture priceless memories for both our clients and personally. The professionalism is unmatched and their photography style is captivating. We will post several pictures to highlight the amazing work that they do. 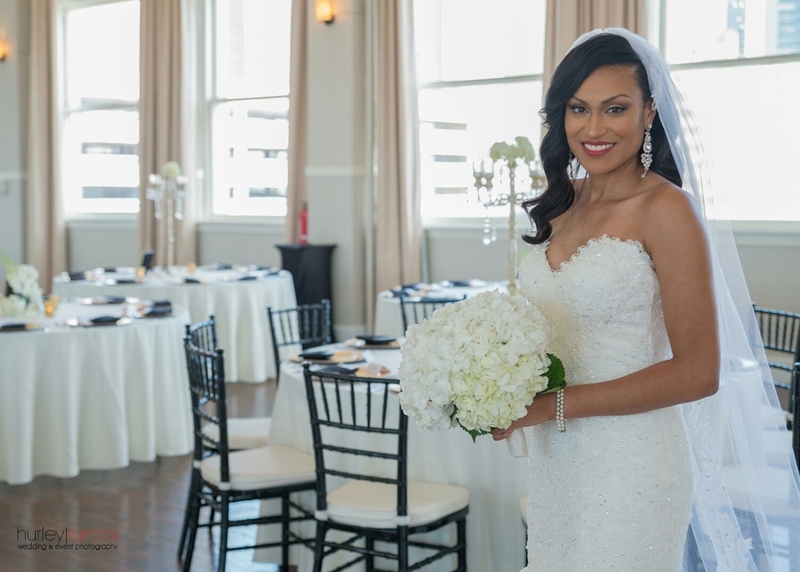 This image was captured of our client by Hurley-Ramos at the fabulous Downtown Dallas venue "The Room on Main". We did the decor and event management for this stunning wedding. Haute Trend Alert for 2016: Food Trucks! So we have been scoping this trend for a few years and this year is anticipated to have lots of events/weddings catered by Food trucks in the DFW area. We think it is so cool to add this is non-traditional and whimsical method to serve your guests meal, snacks or dessert. Lots of these Food trucks are serving artisan, craft inspired food that is locally sourced, or even farm to table. Even the Event décor is incorporated around the food truck theme. The cost may be the same or less, and it creates an "experience "for your guests rather than the typical event/wedding format! Don't be afraid to think outside the box! If you need to talk through your plans for your upcoming event, contact us today! Haute Tip #4 : If you are venue hunting, take an event/wedding planner with you. Haute Tip #4 : If you are venue hunting, take an event/wedding planner with you. Don't make impulsive decisions, give yourself time to think through it for the remainder of the day. Avoid signing any contracts/ deposits that day. Get back to them the next business day. They can wait. If you need some guidance in upcoming venue hunting, call us we would love to help you make the most informed decision to make you event everything you dreamed of. Haute Tip #3: Be sure that your event venue gives adequate time for setup, breakdown and of course, FUN! Most event venues give you an average of 6-8 hours to setup, breakdown and most importantly hosting the actual event. Depending on the scale of your event, amount of decor to be setup you may need more time than the venue gives. They usually allow you to purchase extra time for setup/breakdown but sometimes the costs are quite expensive. So this could make the difference between you selecting that venue or another that offers more time or bells and whistles that you want. If you need a professional planner for your next event, contact us for a complimentary consultation. Thank you so much for supporting Haute Couture Affairs in 2015! We have an exciting events this year so please stay tuned! Haute Tip #2 : Don't assume anything when hiring an event/ wedding planner.. I have run into lots of people who already have a planner and after talking to them there are things they never even knew to talk to the planner about and the planner isn't bringing it up because it's not a part of their "package" you contracted with them. You need to ask yourself, "Does this package /agreement really cover all that I need managed for my event to be a total success? " A seasoned Event/Wedding Manager will not only show you what they will do for you, but they will also show you what you never even considered as potential risks that could overshadow the beauty of your event. - Do you break down the decorafter my wedding/event? -Do you setup decor for my event or are you just coordinating the schedule and event management? We would love to help you plan the event to meet your specific needs. The 2016 Weddings are almost here!!! Are you a 2016 Bride? Are you using Pinterest, blogs, etc., and telling yourself you have things under control? Well I bet if we talked to you for 10 minutes we could find holes in your wedding plans that you never even thought of. Yeah, all the essentials like bridal party selection, colors, your dress, venue, photographer have been discussed. But there is so much looming out there that if you are taking the cost efficient route of DIY planning or only hiring a Day of Coordinator will never be discussed. To avoid some of this unnecessary frustration, contact a professional wedding/ event planner as quickly as possible. They know things you would never think to think through in detail.